New research has revealed some of the people who suffered from dengue fever during the 2009-10 outbreak in Florida did not succumb to a strain they caught while overseas as is normally the case. The US Centres for Disease Control and Prevention concluded they instead contracted the disease locally after examining dengue fever patients from the Key West area. Most cases of dengue fever in the US occur after people import the mosquito-borne disease into the country after being bitten while abroad. 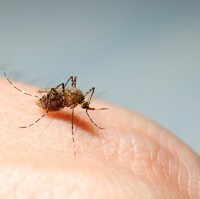 While it cannot be transmitted from person to person, mosquitoes that have bitten an infected person in the US can then spread the disease to other humans, which is what the US Centres for Disease Control and Prevention believes has happened on this occasion. Study leader Jorge Munoz-Jordan said dengue fever could have been transmitted locally in Florida as the state has the mosquitoes to transmit the disease and the climate to sustain them throughout the year. The findings were presented in the April edition of US Centres for Disease Control and Prevention's Emerging Infectious Diseases journal and serve as a timely reminder for those about to go on holiday that medical travel insurance might be a wise investment to ensure they have access to healthcare if they are unfortunate enough to succumb to illness while away.